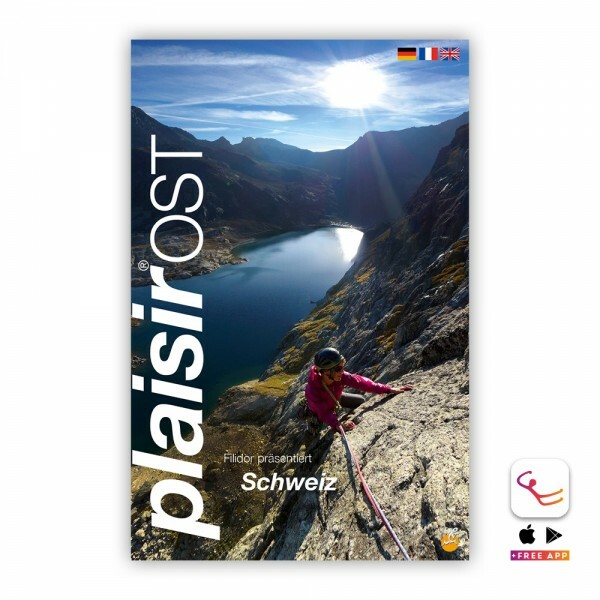 Product information "Schweiz Plaisir East: Sport and multi pitch climbing guidebook"
The Plaisir East guidebook by Edition Filidor has something for everyone and every season including routes to the grade 7a. Compared to the previous edition, a lot of new routes have been integrated and divided into six different areas for a better overview. The guidebook contains higher lying areas for summer and autumn days whereas in winter and spring the crags around Gersau and Haldestein are more intriguing. For climbers seeking a little more, also some multi-pitch routes can be found in the book. Related links to "Schweiz Plaisir East: Sport and multi pitch climbing guidebook"
Customer evaluation for "Schweiz Plaisir East: Sport and multi pitch climbing guidebook"